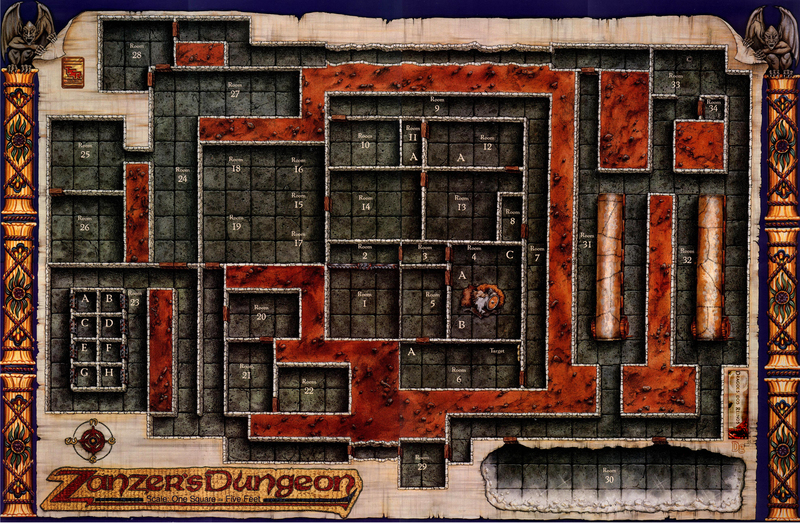 I thought some of you here might be interested to know I've just come across a decent sized scan of the 'Zanzer's Dungeon' map from the so-called 'Easy to Master' Dungeons and Dragons Boxed Game from my childhood. I think that players of HeroQuest and the like will find it useful or inspiring if nothing else. This is a truly awesome find, Mortis! The only thing that ever put me off this as a map or setting was the leather conveyer-belt. ... I must go back to the rules and see what that's all about.